My daughter said, “Your life would probably be the same!” We laughed hard. I’ll always think of her answer now when I think of my question. And I wonder if what she said is true. I’m horrified and furious at how we treat one another in this country…mostly how health businesses and government can treat us. Here is my comment I posted on that news article. I’ve not blogged for a long time – busy with life stuff. I’m also an extremely sensitive person and have been undergoing a lot of stress. How life is right now in the past two years has really been getting me down, so I try to avoid the stressful situations by doing things that are fun or relaxing to me. I’ve been escaping into these things a lot. But after reading this article, I think maybe I need to put some of that energy into fighting. I hate that scientists without a God are genetically modifying our food. I hate that greedy people with no fear of punishment are controlling our health care systems. I hate that people with money care nothing about people with no money, going on living their lives like nothing is wrong in this world. I hate that we go in and fiddle with other country’s governments, getting innocent people killed in the process. I’m so angry I could explode. 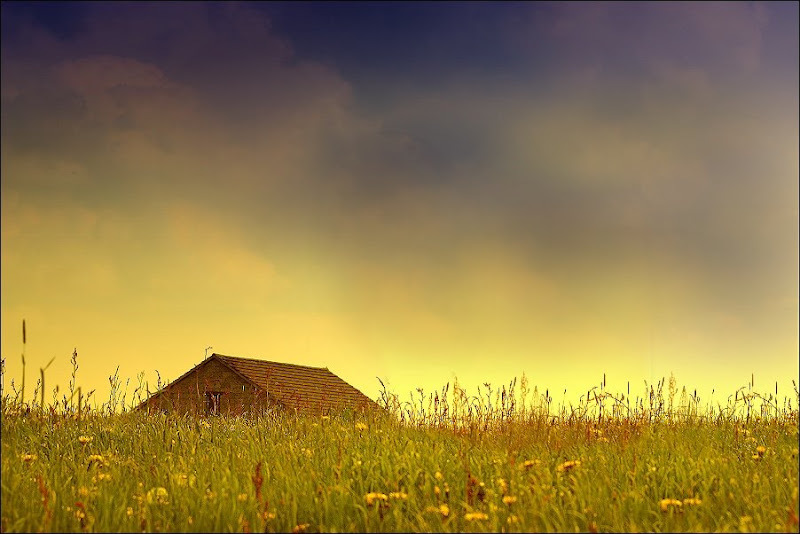 I wish I could live in a peaceful little world but a real world like that is not there anymore. I’m trying to make myself busy and avoid talking about these things because I just feel helpless, and angry when I do start talking about them. There’s no where for that anger to vent. In order to care for myself I escape. However, it’s just not working. For some time, I’ve been extremely interested in working in the industries that require genetically modified foods to be labeled. I’m also learning about seeds, seed saving and heirloom seeds. I’m looking into organic farming and hiring myself out or volunteering to work on one to learn the ropes. I have no knowledge or experience in any of these things but this is a cause that lights me up! What cause lights you up? Is it the article I posted about the vet? Health care? Treatment of animals? The goverment and its corruption? DO FREAKING SOMETHING ABOUT IT!! Get a job with these agencies and push the paperwork through fast. Find and implement a method to do this. Join an organization that forces labeling of all genetically modified food (me!) Write to your legislators about health care – heck BE one of the legislators who changes health care in this country for the good. Our President is trying but it’s not enough. He needs help! Join an animal organization and help animals in need. A country that doesn’t respect its animals and nature is no good country at all. LET’S DO SOMETHING ABOUT IT. ALL OF IT. I want America to be a nation that is beautiful again. As everyone knows by now, all Borders Bookstores are closing across the world. It’s extremely heartbreaking for those of us who have loved and frequented this bookstore for years. When I moved to Virginia, Walden books was where you went to get a book. Later I discovered some smaller bookstores like Little Professor books in Reston, Virginia. The little bookstores were easy to browse and felt personal. Then the big bookstores started coming to Virginia – Borders Books and Music, and Barnes and Noble. Borders eventually purchased Walden books, and Barnes and Noble’s presence put that Little Professor books out of business. I never felt at home really in B&N. Too big, too fancy-seeming for my tastes. But Borders! Wow my favorite store: Borders Books and Music (who wouldn’t love a store with a name like that?!) in Bailey’s Crossroads, Virginia. Yep this was the store I’d immediately love forever. The first time I visited, as I was driving up I just went “Wow”. A two-story, books-and-music wow! Once inside, it was like a dream. The atmosphere was casual, there was a cafe, with books, movies, and music. Dreamy! I’d also frequent the regular Borders in Tysons Corner – they served veggie burgers at their grill — see, casual! I’d take my kids in to both of the stores when we’d be out shopping. They’d get cookies and cocoa, or cakes and cool drinks. When they got older I’d take them for coffee. We moved to Pa about 4 years ago, and the first thing I googled was to see if they had a Borders. Yes! Not far from where we were planning to live. It came to be that Borders was the only good thing about living here. (I don’t like where we live now; a move in the future is most likely!) I’d take my son at least once a month to get coffee and see if he needs any books, or go to browse magazines and buy one or a few, and a book (or a few!) As my income declined so did my book and magazine purchases, but I’d still go to the cafe and relax. 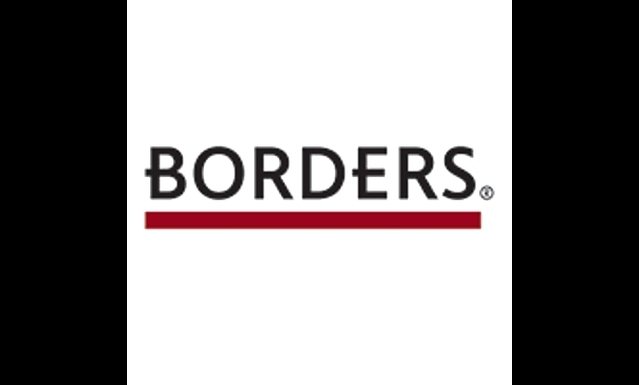 Borders has been there with me through rainy days in my life – it’s been my comforting friend. It’s been a happy, upbeat place where you could go to relax, have coffee, eat, use the clean bathroom, and find a new book to accompany you home. You’re leaving me best-friendless up here in Pa, Borders. I’ll love you forever and think of you fondly always. I never had a bad time in your store, or bad customer service. All memories of you with my kids and of visits alone, are uplifting, comforting and happy. I’m devastated without another bookstore in our area. My son and I will have to find another cafe for our coffee (sans books and magazines). It won’t be the same. Your death leaves a colossal gap. I’m happy to have known you, happy that you were a best friend of mine from day one. I will miss you desperately always. Doesn’t it always happen? You feel you’ve discovered the bargain of the century, and many other people discover it when you do. 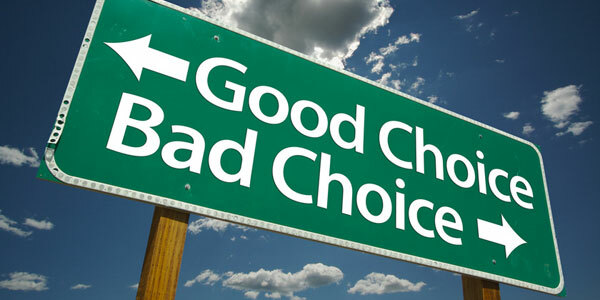 The bargain becomes not such a great bargain any longer because…the price of your great find suddenly goes up! People want more money in their pockets for something they were doing perfectly ok with charging before. This great bargain is Netflix. For those of us who have had to cut the over-$100 cable tv prices from their budget, Netflix’ $7.99 for streaming has been a lifesaver. We can still watch some things on television (albeit not live tv). For me and my husband, it’s old Westerns like The Virginian and Wagon Train. For my son and me, it’s cartoons, and some anime. My husband loves the funky Chinese martial arts films (Netflix has tons), and there’s a ton of anime I think you could never get through if you watched 24 hours a day for a year. We’ve watched quite a few fascinating documentaries and there’ve been a couple of “Oh, I’ve always wanted to see this” type of movies. Ever since we recently signed up, we feel like we’re part of one of the best-kept secrets. We have been telling friends to sign up, and when they come over to hang out and they see Netflix, they want it too. However, the great deal is blown. 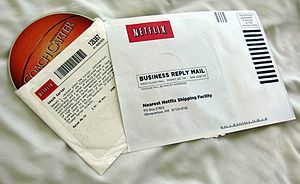 Got a letter from Netflix – their prices are pretty much doubling, if you subscribe to streaming + DVD rentals. I understand that the company is growing, blah blah. With all those millions of subscribers, each paying minimum $10 a month, they certainly cannot be suffering. It’s not like they’re showing brand new content. There’s always some lame excuse when it comes to large price increases, where greed is the reason but they’re too shy to admit that. We like having the option of getting a DVD once in awhile – not everything is on streaming. Heck not everything is on Netflix! We take forever to watch the DVD that we do get each month. So this is the part of the package that unfortunately we will drop. It’s not worth it to us, especially since the DVD plan leaves a lot to be desired in the selection that’s there. Dear Netflix, I got your breakup email. Sorry to hear you don't want me to be with you anymore. Regardless, the streaming $7.99 is still a good deal for us. We can’t be too picky. We’ll be watching everything in our current DVD queue that we can before September, then will be cutting off the DVD portion of the service. I wish we could keep the service, honestly. Netflix would make the extra $2 off us monthly if they left it alone. However, we’ve re-evaluated everything in the past few years when it comes to our spending, and I will gladly put that $2 toward our grocery bill, and won’t be giving them the $7.99 they want instead. A full carton of eggs – lasts us longer than a week! I’m sure you can think of tons of things that you could get for $2 saved, let alone $7.99. I won’t let companies dictate to me anymore how much I pay to them for what are really life extras. You raise your prices, and you risk losing my business, some or all. I don’t freaking care anymore. We can do without everything but food, water, shelter and a few clothes on our backs. If companies are not realizing that many people feel as I do, these companies are at risk of having only the clothes on their backs as well. Even with the changes, I still feel like @BrennndaM above where she can survive without cable because of Netflix. However, that happy feeling of being in love with this service is now gone. It’s interesting how the tiniest little animals can make one go all sweet. This happens to me each time I have looked in on my finches over the years. Someone gave me 6 society finches and one white zebra finch years ago. 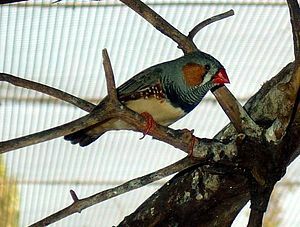 The zebra finch “beeped” all day long. Pretty annoying! She was the boss of all the others, keeping them in line. This finch community lived in a large flight cage. Soon, they were nesting and making eggs. Out of these eggs came 7 more babies!! I have to say 14 in even this large cage was too many. What a mess they made! But they were so fun to watch. They love to nest all together in one nest – at evening their little beaks is about all you can see out of the nest – 14 little pointy beaks poking out of a brown mass of feathers in the hole that is in a finch nest. How in the world they all fit in there, I’ll never figure. They loved to take baths and they love to peep. The boys sing when the girls are around. The boys even sing for me when I come into the room. I split my flock in half with my friend a couple of years ago. The zebra finch had died, and we only had the society fiinches and their children. I kept one favorite that was crippled – she was so crushed in the nest when all the 6 brothers and sisters were born, that her leg didn’t develop right.. So spent her life hobbling around the cage. Then we were down to three last month. One morning I saw the crippled one on the bottom of her cage. By evening she was gone. It was a really sad day, and I buried her in my herb garden. Two finches remained, a tawny girl and a brown boy who always sings to me. The girl went into mourning for over a week, burying her head into herself, and wouldn’t come to eat. She finally broke out of it and was ok for about a week. She finally passed away yesterday morning, either from old age, or from a broken heart missing her crippled girl friend. All that is left is one boy. I would, in a heartbeat, be at the store buying friends for him. However, my husband, son and daughter — all of them do not want the birds in the house any more. Only my son has spent the time to actually look at them. He helps feed them and sometimes likes to pick them up. He is good at chasing them down if they escape! But he’s 17 now, with no more interest in keeping the tiny creatures. They’re too messy for the small enjoyment he gets from them, I think. Finches are social creatures – they need other birds to thrive. This little boy that remains has sat on one perch, still, alone, peeping for the his lost girl companion. It’s extremely sad. I want to run right out and buy a couple more, but don’t want to go against my family’s wishes – it will cause problems with everyone complaining at me, and I don’t want to do that. I want them to say to me “Oh enjoy your hobby – go get another couple of birds, so the finches and you will be happy.” instead of “Get rid of those birds!” For someone who supports everyones’ interests in my family, regardless what they are, I do get resentful if I’m not supported in mine (although many!) It’s not fair if you get supported if your interest is only quiet, clean and doesn’t bother anyone else in the slightest way whatsoever. In the meantime, little boy finch sits quiet, alone in his big cage on his perch. Too quiet. Today I will put him into a smaller cage and bring him upstairs by my computer where he can be near me. Perhaps, by chance, I can convince my husband somehow to allow me to bring him home a couple of friends. Raised bed gardening – built them, filled them, planted and now have stuff growing! Picked lettuce and sugar snap peas already. Have tons of tomatoes coming! Trying to widen the driveway. I’ve not done any work on this this year, but have gone to the masonary a couple of times with my husband to look at brick, etc. Time consuming. Taking care of my lavender and herb garden. Had a yard sale last weekend – exhausting! Gaming – Yes you have to make time for some gaming! Was playing Runes of Magic and Allods Online when Sony’s EverQuest 2x was down. It’s back up now and I’m so into it I can’t get back to the others! My sister joined and we’re having fun decorating our EQ2 houses and questing in Butcherblock Mountains. 🙂 Maybe I’ll make a post on my characters some time. My mom was in the hospital these past few weeks – she had pneumonia. She’s ok now but it scared us all for awhile. Today I worked out some computer help in exchange for tutoring for my son for Algebra II (something he had troubles with this year). She’s going to help him with that and some SAT prep, for as long as we can pay for it. She’s the one that suggested the bartering and I was happy about that. She needs some help with this program she’s installed and I’ll help figure it out and train her to use it so she can decide if she wants to buy it. My hours there in exchange for the tutoring she’ll give him. When I run out of hours, we have a bit of money from recycling metal that we can use for the tutoring, probably once a week this summer for him until school starts. Unfortunately I doubt we’ll be able to continue it once school starts but we’ll see. One step at a time. Kitty – our kitty cat was REALLY sick last month and the month before. I thought he was going to die. But the vet down the street got him back on track and he slowly recovered over time. We’re very happy. He still has fleas though. UGH. Not as bad as last year. Frontline is helping but we haven’t been able to keep that on schedule due to financial constraints. Finches – I had three left of what was once a 14-finch flock. Gave half to a friend, then the seven we had slowly died (old age, couple of accidents, etc.) The crippled girl we had (she was so cute!) died of old age about three weeks ago. Finches are social birds – the more the better. All I have left is a girl and a boy. The girl mourned her dead friend for almost two weeks. She barely came out to eat, and just tucked her head in her feathers for days on end. The boy called her and also comforted her. She finally broke out of it and is ok again, but I thought I’d lose her too. I would love to adopt some more, but my son and husband don’t want the birds anymore. They take up a lot of space, are messy, etc. But I love them and want more. They’re sweet, not a lot of work and are fun to watch and they talk with me! The boy sings to me when I come in the room sometimes, too. Looking to switch my husband’s job into something he can do himself. Looked into festivals but was thwarted at every turn. It’s so difficult to break into. Looking into vending from a cart or mobile unit now, but having problems figuring out how to get the money to do that. Thinking of selling the truck. *sigh* It seems so silly, if we’d have not gotten the truck in the first place we’d have had some money before. Now that we have the truck paid off, it seems foolish to sell it for partial the amount of money we put into it. BlackBerry PlayBook – my husband is playing with this thing more than me! Until they release some more productive apps, I only pick it up to read the news, check if they have any new productive apps, update the software, and watch some videos sometimes when I don’t feel like being on the computer. I tease him that it’s his now. He does use it way more than me – mostly for Facebook. Barf. Building a computer – my son needs a new computer. He’s using my old ABS machine (7 years old at least!) and still working well. It just can’t handle recent games, and is just having problems doing much at all. It’s time for that good ol’ machine to be converted to a media pc or storage system or something. So we’re planning on building a new system. It’s cheaper, and it’ll be a project from which my son can learn something. First, I have to say, no amount of financial loss and continued tightening in my family can compare with the losses that this week’s Sendai earthquake and tsunami have brought to the families of the people who have lost their homes, livelihoods, and lives. I have been watching BBC news nearly non-stop since. Even though I’m physically here in the US, my mind has been in Japan. Thoughts and prayers for the Japanese people. This has been our first week without cable tv. I don’t think I’ve been without access to cable since the mid-80’s when I was in NEED of having MTV. Since then I’ve grown past MTV and into using TV as a tool for learning and for enjoying particular shows with my family members. Only lately did I start getting into some of the prime-time shows, having the tv playing more than cartoons on Boomerang or Cartoon Network. or gardening shows, or Westerns. This week, even though we have Netflix, I started craving certain aspects of tv. We’d watch a couple of things on Netflix then turn off the tv. I started missing the non-stop entertainment playing in the background while I used my computer or did household chores. Then I realized another thing I was missing – commercials. :O Who’d ever say such a crazy thing! I’d always fast-forward past the commercials, but now I was missing them? I must have gotten used to the mix of shows+commercials, and now I was going through withdrawal. In the meantime, I missed several shows that played this week, namely The Event, Hot in Cleveland, The Big Bang Theory, and my regular Saturday night Britcoms. I am not happy about missing my britcoms and I can’t find them streaming online anywhere. Grr. I’ve been able to find most everything of favorite series online, minus the britcoms online. At first I thought I’d have to go to all the network sites, and watch the episodes of each show I missed. I’d done that to catch up on the first few episodes of The Event, which my sister recommended I watch. Here’s a list of some of the things I’m working on and testing to replace nearly all my cable tv, a lot of which is just free shows that the cable companies charge you to view. Cable companies very much need to rethink their cable fees. I don’t hate them, I just can’t pay their prices any longer. * Rabbit Ears – I bought a pair of $10 rabbit ears from Best Buy yesterday. I was SO curious what stations I could get without cable. It was extremely easy to hook up – nothing to it. I had an immediate flashback to the 60’s as I pulled up on the antenna, trying to get reception. A really weird thing but I was amazed at the high definition reception of my 6 channels. Unless I turn the rabbit ears in another direction and then I get 11 channels. Most of the channels are stuff I don’t watch, but I will get network stations (minus ABC which I can’t seem to pick up) plus PBS, and 24/7 news plus local news. For $10 it’s great. I may look into better antennas later (better reception, more channels) and will post again on that if I do. 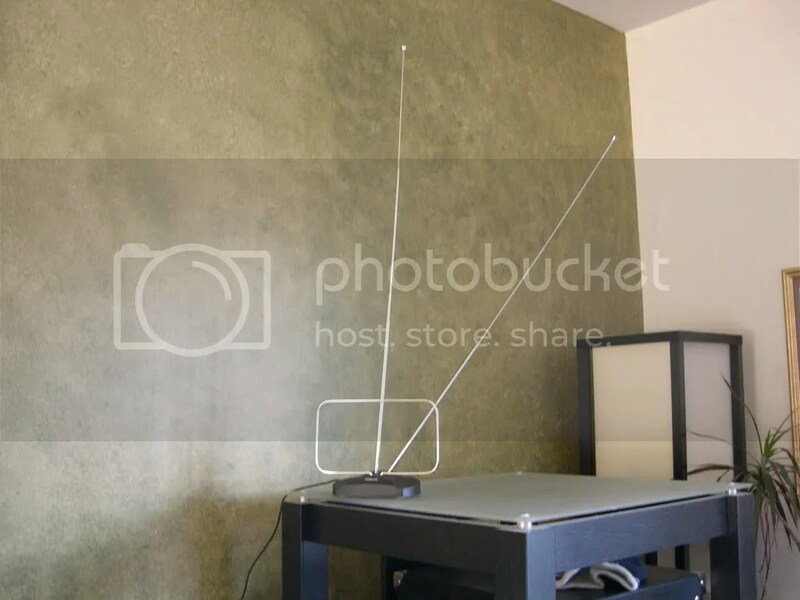 * Boxee – absolutely great application. Download to your desktop and view shows. Reminders for new shows. Superior interface. This app is a must. Problems: won’t play Hulu stuff (or does but there’s no sound). Hulu won’t allow Boxee to play stuff you can find on Hulu. * Hulu – I haven’t checked out Hulu Plus yet and don’t know what it entails, but I’ve been able to play the missed episode of Hot in Cleveland. I’m sure I can find more on there but I’m a little overwhelmed by all the other options right now; will sift through Hulu more this week. * Web page of links – Can’t find everything on Boxee or Hulu? There are a bunch of sites that have things to watch that will keep one entertained for a long time. 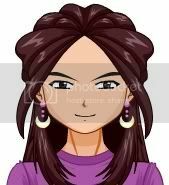 I’ll be making a webpage for myself with the links to what I like. All organized, and I won’t have to search and dig through Google to find a series I want to watch. 30 Sites to Watch Free TV and Movies Online – a very helpful start. Add to it your own favorites (I like Martha Stewart and Veria.com videos), list on a webpage, and you’ll have an easily accessible list of what you watch regularly. Save our links on PBWorks, Pen.io, any free site, or to your own paid-for website. I think I’m going to do mine on Pen.io – you can create any page name you want, and don’t have to login to it to access the information – just type the url and you’re there. All this may not be as easy as having cable, but it’s fun to see how much you can do yet still cut back.